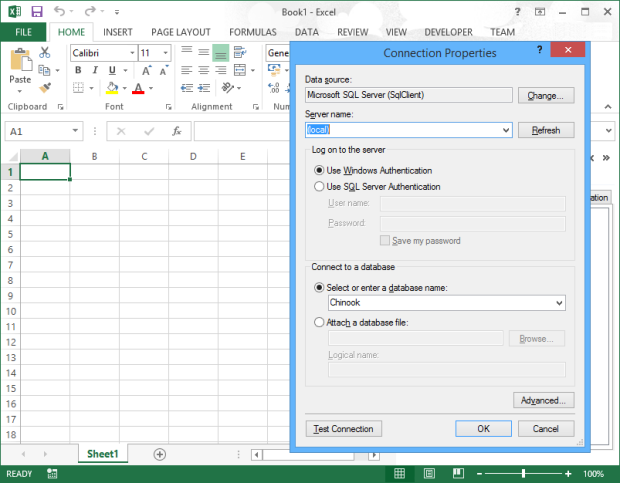 Import, edit and generate data for SQL Server in Excel. 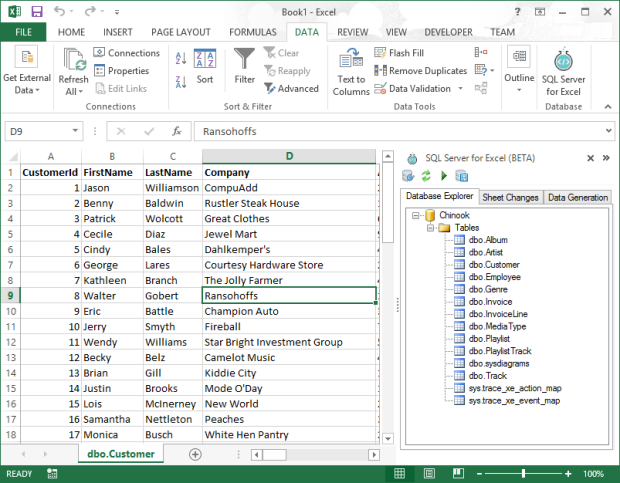 SQL Server for Excel is an Excel Add-in that provides users a way to import and edit table data in Excel. It has been designed to be a simple tool for data analysts to manipulate SQL data without having to write scripts. It also offers powerful data generation in order to generate sample data for a SQL database. 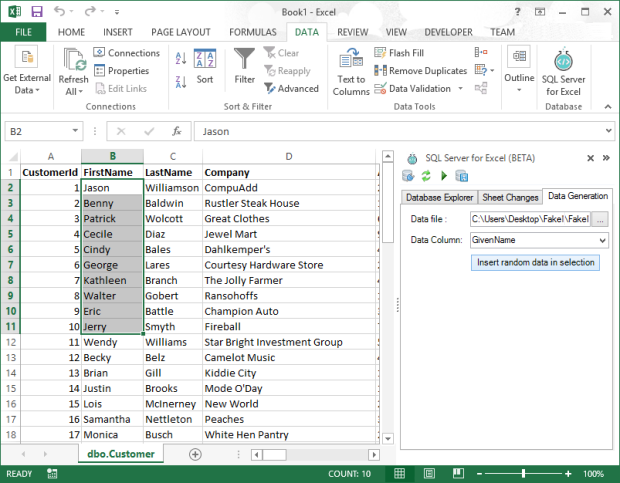 Edit data stored in SQL Server database tables directly from inside Excel. All changes are tracked as you make them, you can then save the SQL update statements to file and run them on the database manually. You also have the option to automatically apply the changes to the database with the click of a button. Select any CSV file with sample data, specify which column in the file to use, select the cells in Excel where the data should be written to and random values will be generated. New Open sourced. Get the code on GitHub! SQL For Excel is an early Beta, so there will be bugs and problems. Any questions, feature requests or bug reports please fill out the form below. Please complete all fields and make sure you use a valid e-mail address. Released under the GNU General Public License. © Pieter van der Westhuizen 2019. All Rights Reserved.